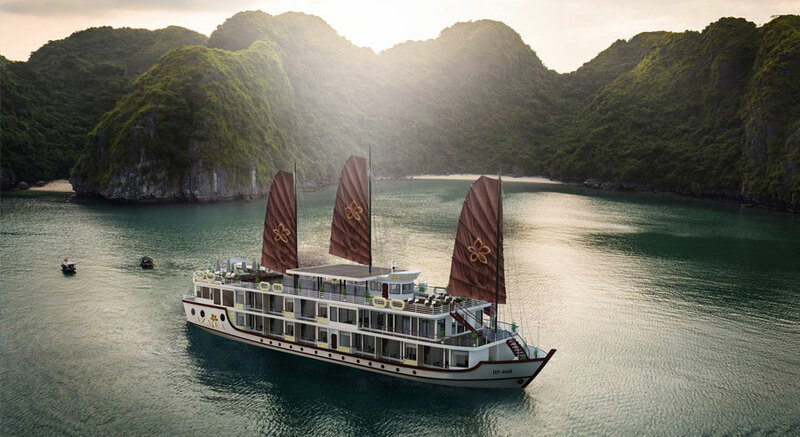 2019 promises to be a blooming year for Halong Bay, with the launch of many new cruise lines from budget to luxury. Start planning your trip to this World's Seven Wonder? 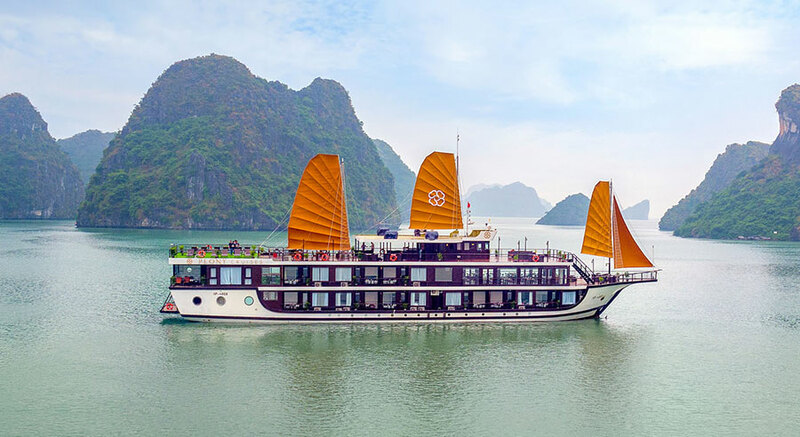 Below is the best of what Halong cruises have to offer. You've set your mind for Halong Bay but do not yet know which cruise to travel with? This list will give you an idea to start! Our best cruise list is selectively picked based on several factors (1) Guests' reviews and feedbacks (2) Cruise deco & facilities (3) Cruise itinerary & service (4) How it best fits each category of travellers. We divide all cruises by budget range which makes it easier for you to find one that offers best value too. If you are still in doubt, leave a question below for instant response. 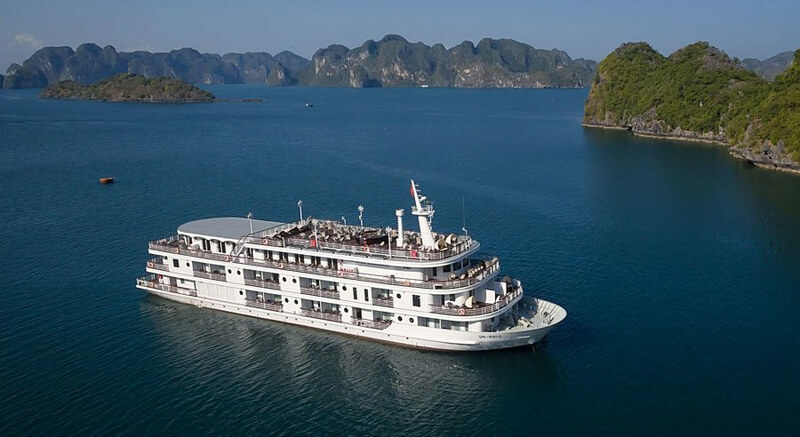 Finding a private charter cruise in Halong Bay is as simple as booking a hotel online. Contact our charter experts to get free advice and quote. 13 Nguyen Huu Huan, Hoan Kiem District, Ha Noi, Vietnam. Hello. My mother and I are planning on 2day cruise on May 8. But, we have a flight reservation on May 9 to Danang at 2pm from Cat Bi airport. Do you think we can catch the flight after disembark? I think Orchid Cruise, Peony Cruise , or Azelea Cruise. Thanks. Hi there. I'm looking for a overnight tour on a junk boat for 2 days 1 night. The dates being 12th to 13th April. A budget or a semi-budget one would do. What would you recommend? Dear Ms. Sapna, Thank you for your inquiry! 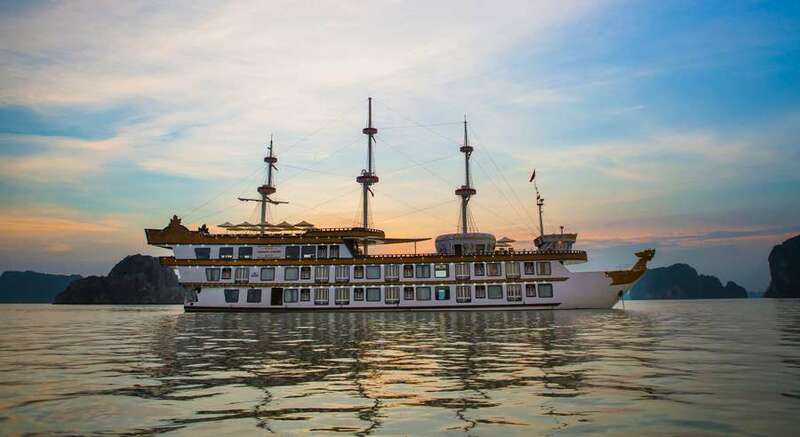 For budget and semi-budget I would like to recommend you to consider either Glory Legend Cruise: https://www.halongbaytours.com/cruise/glory-cruise/2-day-1-night.html or Aclass Legend Cruise: https://www.halongbaytours.com/cruise/aclass-cruise.html Both of these cruises share similar itineraries to visit Titov Beach, Surprise Cave, the most classic sights of Halong Bay. The quality is good value for the price paid too ($280/cabin for Glory Cruise and $266/cabin for Aclass Cruise) including pick up and drop off in Hanoi. If you have any questions please let me know! Dear Mr. Tanuj, Thank you for contacting us with your request! 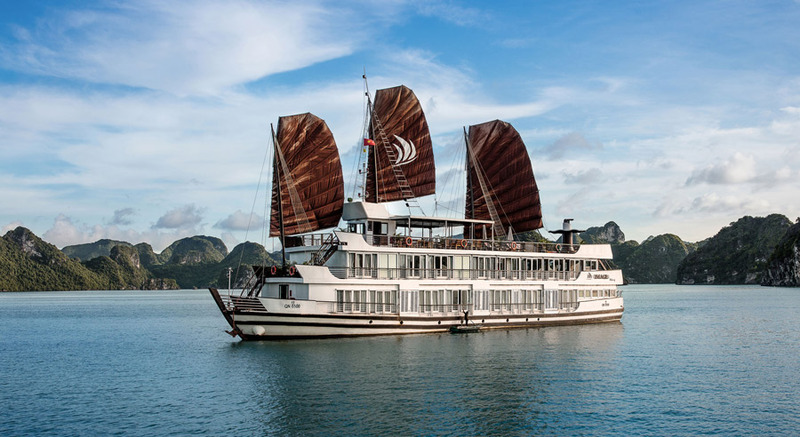 We currently have many cruises available on your trip date and I wonder if you have a set budget or have preference for a cruise route (Halong Bay, Bai Tu Long Bay, Lan Ha Bay?) I look forward to hearing from you! Based on your response we will be able to send you some further options to consider! 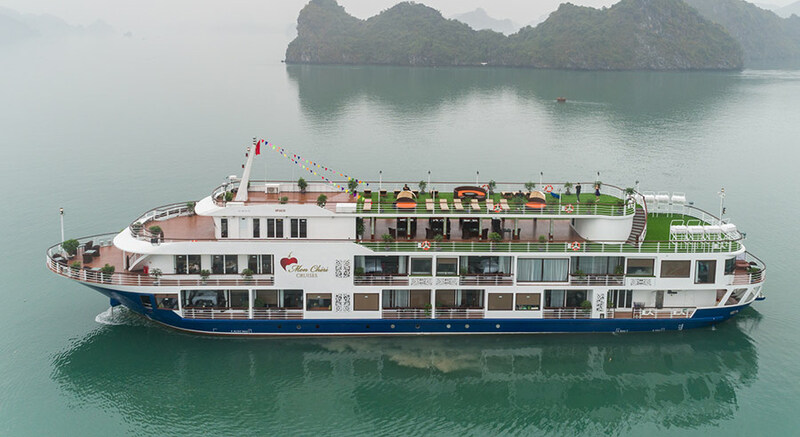 Hello, For the cruises on this website, is it possible to show up to the dock at the time which a cruise departs from in the Ha Long area, rather than be picked up from Hanoi? Or is it required to be picked up and dropped off in Hanoi for the entire experience? If it is required to be picked up/dropped off from Hanoi, can you direct me to where I can find cruises that will allow me to get picked up/dropped off from somewhere more local like Ha Long, Hai Phong, etc.? Thanks! Dear Mr. Wong, Thank you for contacting us with your question. You can surely travel to Halong by yourself and be present at the dock by 11:45am for check in. Each cruise has their own meeting point (they will be located on Tuan Chau Island, near Got Pier, or in Halong city). Once you have decided which cruise you travel with, we can let you know the exact address and also the contact number of the person in charge in case you need to call for anything as well. In general, you can find the address for our cruise on each cruise page (above the cruise photos). Have a nice day! Hello! We're looking for a 2N 3D budget cruise roughly around 18th to 22nd February 2019. We're a group of 6-7 people and would like a cruise that is comfortable and spacious, and will help us experience the local culture. Let us know what your suggestions and tentative budget would be like. Thank you for your question. My name is Sunny from Halong Bay Tours department and I am very glad to assist you with your trip. As far as I know you would like to spend 1 night on the boat and 3days 2nights cruise trip with one night on the boat and one night at the island thus I would like to recommend you with the program as following: DAY 1: Hanoi - Halong DAY 2 – Freedom Island Day 3 - Freedom Island- Back to Hanoi The detailed itinerary has been forwarded to your email. However please kindly note most cruises that organize this itinerary is not luxury ones (they are more activity oriented). Please review and let me know if you have any questions! Hi, I am traveling with a group of 13 people (9 adults and 4 children). We would like to do a tour on a luxury boat. We only have 3 days and 2 nights in Ha Noi. We arrive from Nha Trang on August 1st, do a tour of the city, then do a cruise for one night and be back in Ha Noi for a return flight to Ho Chi Minh City on August 3rd. Is this doable, or is our timeline too tight? Our hope to see Sung Sot Cave. Dear Ms. Diane, Thank you for contacting us with your request and we are happy to assist you with your trip. Can you please share with us your children's age so we can recommend you the best option? The itinerary that you have mentioned seems fine and totally doable. Please note to book the flight back to Ho Chi Minh City later in the afternoon or in evening time so you don't have to rush back after the Halong Cruise trip. For cruise tours that are luxury and include visit to Sung Sot Cave you can consider the following: 1. President Cruise: https://www.halongbaytours.com/cruise/president-cruise.html The cost is US$ 2480 for 6 Ambassador Balcony + Free shuttle bus round trip. 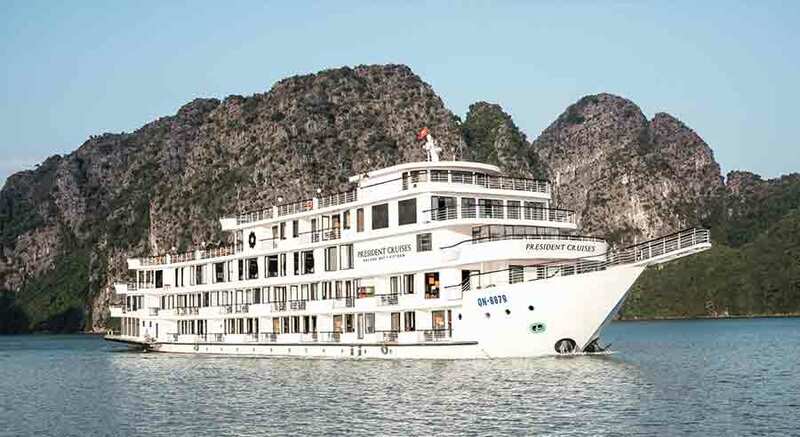 This is the newest cruise in Halong Bay with outstanding service as the cruise is operated by Paradise company. 2. 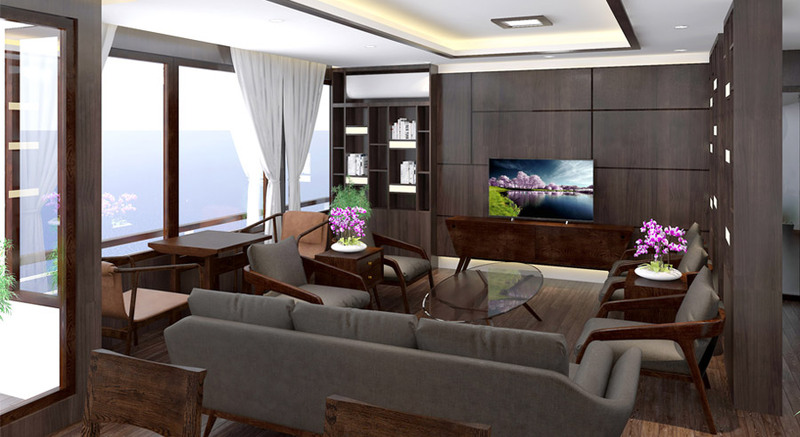 Paradise Elegance Cruise: https://www.halongbaytours.com/cruise/paradise-luxury-elegance.html The cost is US$ 2160 for 6 deluxe balcony cabins and free shuttle bus. Paradise Elegance has fewer cabins than President Cruise and the cabins are a bit smaller. However the quality is equally as good. I hope these two options are a good start. If you need further information please feel free to let us know! Hi, I am looking for a good cruise for 2D 1N for Feb 23rd-24th for our honeymoon with balcony at a budget for about USD 300 to USD400. Wanted to check which one would you sugges for us. Hi, we're couple, would like to have 2D 1N or just 1day trip to Halong bay on 31 des 2018. we r budget travellers. Could u give us option? we r group of 4 person, would like to have 2D1N cruise to halongbay on 20/2. we r budget travellers. Any suitabl options for us ? Hello, I am looking to take a cruise in between Dec. 28 and the 31rst. I am fine with either luxury or moderate cruises from a budget perpsective, but as I am travelling alone, I'm hoping to find a cruise that won't be overflowing with couples. At age 41, I'm not looking for a massive teenager party boat, but I wouldn't mind a nice mix of party and relaxation. Any suggestions would be welcome. It looks like I land around 12 pm in Hanoi on the 28th. I'm looking to take an overnight cruise tour for Halong bay and move to Cat ba island on the following day to stay one night there. Is it possible to get the drop off at Hanoi/airport service, which included in the cruise tour, on the date when I head back to Hanoi? I'll be traveling by myself, at late20s female. Can afford a midrange one. 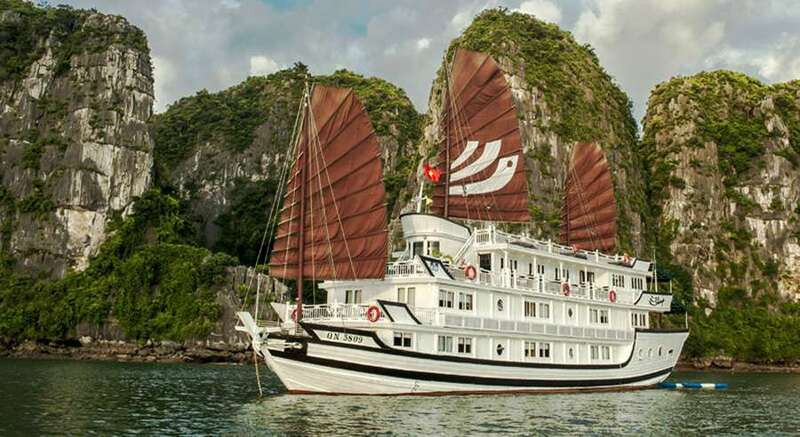 Hi, I am looking for the cruise covering Halong Bay best sites from 17nov to 19nov. For family of 5. Husband wife and children age 13, 12 and 10;can u recommend a cruise. 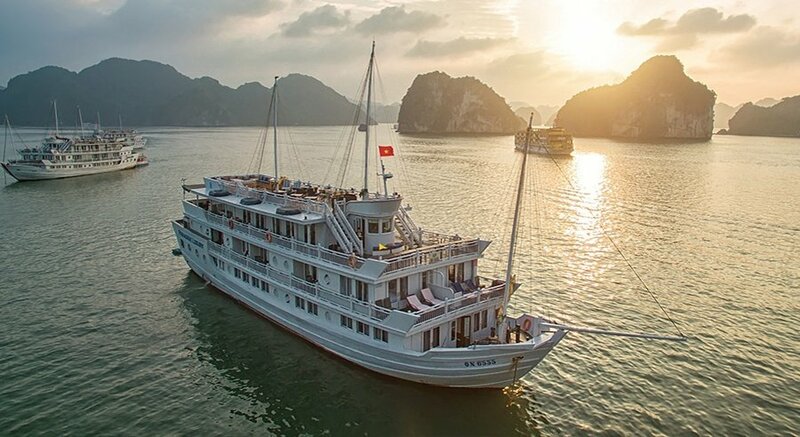 Hi, My friend and I want to do a 2D/1N cruise that covers Ha Long Bay and Bai Tu Long Bay on 25th Dec '18. We want to spend upto USD200/pp. Can you please suggest something? Thanks!